The fact that Prime Minister Joseph Muscat and his chief of staff, Keith Schembri, travelled to Venice for the wedding of the chairman of Pilatus Bank was confirmation of the intimate link between the three of them, Simon Busuttil said on Monday. "Which prime minister would go abroad for the wedding of somebody from Iran, were it not the wedding of somebody with whom he had an intimate link?" the former Opposition leader and current PN spokesman on good governance asked. He said this link between Dr Muscat, Mr Schembri and Ali Sadr Hasheminejad was dangerous, as it demonstrated a clear conflict of interest between political power and financial interests. It also showed how Pilatus Bank got up to mischief with Dr Muscat's blessing. While Mr Sadr faced a 125-year prison term in the United States, he was a close friend of the prime minister in Malta and had been given the protection of the law, Dr Busuttil said. 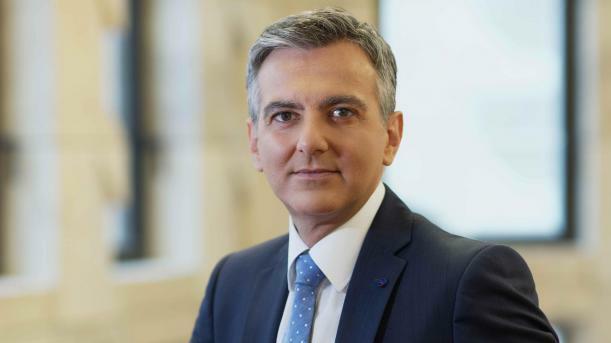 It was therefore no wonder that Mr Sadr was not arrested when he left the bank at night carrying s suitcase full of documents, Dr Busuttil said. It was also no surprise that Mr Sadr and his bank were not properly investigated by Malta. The bank had even been given a clean bill of health, despite the risks to Malta's reputation. Furthermore, Dr Busuttil observed, Dr Muscat had kept his close link to Mr Sadr hidden for three years when he should have declared it immediately as the bank was mentioned in scandals revealed by the Panama Papers and reports drawn up by the FIAU. Dr Busuttil said all this showed that Dr Muscat was personally responsible for the damage caused to Malta's reputation, damage which would continue to harm Malta for as long as Dr Muscat remained prime minister. Meanwhile, Nationalist MEP David Casa said MEPs have asked the European Central Bank to intervene in terms of the Single Supervisory Mechanism to revoke the bank's licence. The MEPs provided a detailed explanation of the legal grounds on which they based their request. In a reaction to Dr Busuttil's statement, the Labour Party said the prime minister was invited to the wedding in the same way as he was invited to hundreds of other weddings because of the office he holds. The prime minister had nothing to hide, the PL said. It insisted that Pilatus Bank was treated like any other bank. So much so that when questioned by MEPs, Juanita Bencini, on behalf of KPMG, who carried out the due diligence process, had clearly stated that there was no interference by the Office of the Prime Minister (for the bank to the licensed by Malta) and there was no communication with the OPM. The PL said the actions taken against Pilatus Bank in the past few days were the same initially taken against Nemea Bank, which eventually had its licence revoked. The PN said nothing about that bank because former leader Lawrence Gonzi had even accepted to be one of its directors, the PL observed.